Needs, Interests, and Goals . Ultimately, understanding individual needs, interests, and goals is at the root of all communications. Share your thoughts about this statement. Working Together in Unity begins with communication. One of the most important resources available to any organization is its relationship among its people and constituents. Successful leaders have the ability to establish relationships and develop a network of people to accomplish the organization’s vision, mission, objectives and goals. Effective communication creates an environment of cooperation, commitment, respect and trust. 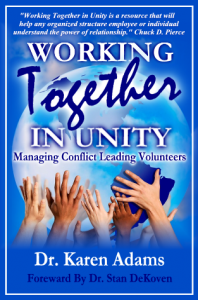 These building blocks are essential for organizations that are dependent upon the services of volunteers and the collaboration of community groups, special interest coalitions, informal leaders, and others to achieve their success. There are various methods of communication that are available to provide meaningful and timely support, supervision, and feedback to your team. Verbal communication channels, such as staff meetings, telephone calls, and face-to face contacts; and, written communication channels, such as text messages, email, social media networks, reports, blogs, and newsletters are all necessary to meet the multiple sensory needs of the communicators and respondents. Most people have a preferred method of sending and receiving communication. Since the process to recruit and retain volunteers is directly affected through communication, it is important to choose the appropriate methods of communication that resound with the respondents. For example, in the 20th century we went from Pre-Baby Boomers (born before 1943) to Baby Boomers (born roughly between 1943 and 1964) to Generation X (born roughly between 1965 and1981) to Generation Y (born roughly between 1982 and 2001). These four generations of volunteers represent the current 21st century volunteer workforce. Each group is unique with respect to their preferred method of communication. Although this book focuses on these four generations, it should be noted that very soon the Millennia’s or Generation Next (born after 2001) volunteers will become more actively involved and they will have a voice of their own shaped by their generational imprints. 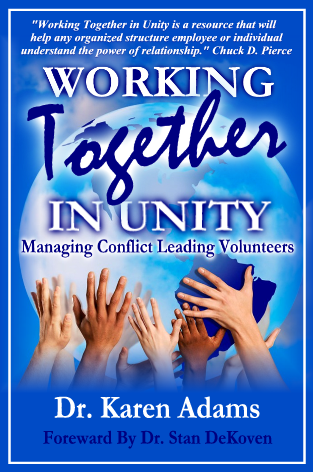 Given the unique experience and expertise that each generation of volunteers possesses, it is important for volunteer recruiters, volunteer managers and volunteer leaders to understand how to reach the new generations of volunteers while concurrently attracting the growing number of retiring Baby Boomers and retaining the Pre-Baby Boomers. The preferred method of communication for a Pre Baby Boomer and a Baby Boomer is quite different from that of a Generation X (Gen X) or a Generation Y (Gen Y) and the newly emerging Generation Next or Gen @ volunteer. Each generation has a different attitude, different work style and different expectations of the physical work environment than do the other generations. As a result of the universal roll-out of the internet in the mid to late 1980s, Gen X and Gen Y volunteers are generally very tech savvy and prefer the use of technology to communicate (text messages, emails, blogs and social media network sites). This is in sharp contrast to the Pre-Baby Boomers or Baby Boomers, who generally prefer to communicate in-person or via the telephone and receive “hard-copy” communications, such as, letters, newsletters, or notes. However, as time goes on, an increasing number of Pre-Baby Boomers and Baby Boomers have adapted to communication via email and social media networks, such as Facebook. Determining the most effective method to communicate with a person on an individual basis will help you to cultivate a shared commitment and personal engagement among the volunteers, paid staff and constituents.